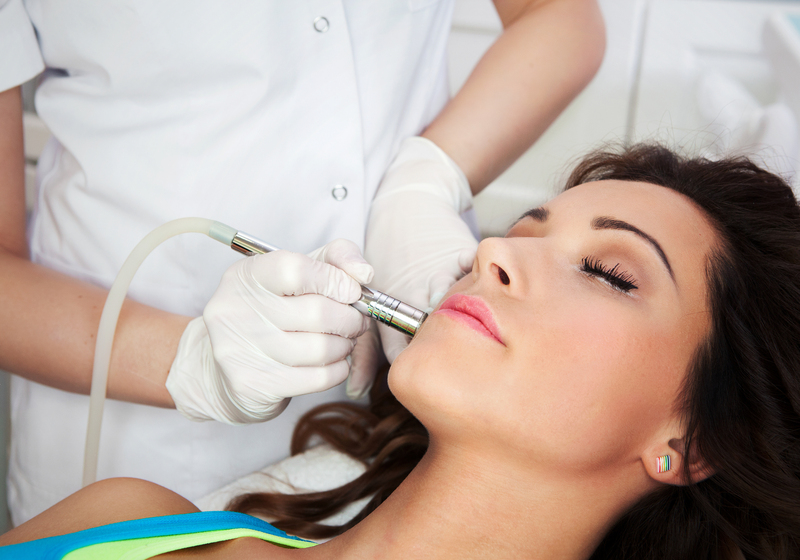 Laser skin resurfacing involves the use of DOT Deka laser treatments to revitalize the skin. These treatments enable patients to address damaged skin and mild signs of the aging process itself. Dr. Babak Azizzadeh of the CENTER for Advanced Facial Plastic Surgery is a globally recognized facial plastic and reconstructive surgeon who provides laser skin resurfacing and other facial rejuvenation treatments. He possesses dual certification in facial plastic and reconstructive surgery and head and neck surgery (otolaryngology). This unique expertise allows Dr. Azizzadeh to help patients achieve their desired facial rejuvenation results. During a patient consultation, skin is an important part of the discussion. Achieving beautiful, smooth skin is at the top of a patient’s beauty wish list. To help a patient achieve the optimal facial rejuvenation results, Dr. Azizzadeh first evaluates his or her skin. This allows him to analyze a patient’s skin issues. Next, Dr. Azizzadeh asks a patient what bothers him or her most and learns about this individual’s treatment goals. Dr. Azizzadeh views laser skin resurfacing as part of a “4D process,” and he sometimes recommends laser skin resurfacing in conjunction with other treatments. For example, if a patient chooses facelift surgery, Dr. Azizzadeh may recommend this individual receive laser skin resurfacing and a facelift at the same time. Or, if a patient is not ready for surgery but still wants vibrant, youthful-looking skin, Dr. Azizzadeh may recommend laser skin resurfacing. Before a DOT Deka laser skin rejuvenation treatment is completed, Dr. Azizzadeh outlines all aspects of the pre-treatment protocol. He recommends patients stop using hydroquinone and/or retinol products for at least five days before treatment. The number of laser skin resurfacing treatments varies from patient to patient. In younger patients, one to three in-office treatments may be sufficient. Meanwhile, for other patients, a single high-intensity laser skin resurfacing treatment may be required. Cover the face with Aquaphor immediately after treatment and continue to use Aquaphor the same day as the procedure. Use a post-procedure kit to reduce burning sensations and minimize the risk of infection. Apply an occlusive ointment or intense moisturizer to prevent direct contact between treated tissue and the air. Gently wash the treated area with tepid water and cleanser at least twice a day, beginning the day after treatment. Also, patients should use sunscreen with a good sun protection factor (SPF) to protect the skin in the months following laser skin resurfacing. This helps patients maintain smooth, glowing skin and keep pigmentation, texture and other skin issues at bay. Dr. Azizzadeh is happy to teach patients about laser skin resurfacing and other facial rejuvenation treatments. To find out more, please contact us today at 310-657-2203 to schedule a consultation with Dr. Azizzadeh.